Without question, escalating healthcare costs have been a heavy burden for American businesses over the last decade. Hospitals, long considered part of the problem, were not immune to this trend. On the contrary, hospital workers are actually heavy users of healthcare. That was certainly the case at Baptist Health System (BHS) in Birmingham, AL. BHS owns and operates four hospitals, 46 health centers and nine senior housing facilities throughout Alabama. With more than 4,300 employees-not counting dependents also covered under BHS's health plan-the self-insured employer was seeing annual healthcare cost increases of 8-10 percent. In 2008, BHS leadership concluded that those high annual increases were simply unsustainable. Finding a prescription for mitigating the system's high cost of healthcare became a top priority that year. Determined to find a long-term approach rather than a quick fix, BHS began the due diligence needed to determine why costs were escalating. A simple truth was that Baptist Health System had to work against a culture of poor health habits. It sits squarely in the South, where tobacco use is prevalent. Alabama also has the country's second highest rate of obesity, according to the Centers for Disease Control and Prevention. Statistics show that obesity is especially costly to employers. According to data collected between January and October 2011 for the Gallup-Healthways Well-Being Index, 86 percent of full-time workers who are above normal weight suffer from at least one chronic condition. As a result, these workers collectively miss an estimated 450 million additional days of work each year, costing businesses more than $153 billion in lost productivity annually. By examining claims information and trending the data, BHS found that the primary drivers for its spiraling costs were increased utilization, high dollar claims and treatment for chronic conditions. Clearly, a program that focused on wellness and preventive services could help address festering health issues before they required more intensive - and costly - care. BHS began looking for a turnkey wellness program that had a track record of delivering long-term results in enhancing employee health while driving down expenditures. The health system turned to Aegis Health Group for the data-driven approach it was looking for in a wellness partner. While Aegis has a strong track record of partnering with hospitals across the country to execute worksite wellness programs in local markets with community-based employers, BHS would be one of the rare hospitals to tap Aegis for its own workforce. The partnership, launched in 2008, provided the foundation for a comprehensive health improvement program that would enhance quality of life, reduce workers compensation claims, decrease worksite absenteeism, improve employee health status, and reduce healthcare costs. In order to roll-out a well orchestrated wellness initiative, BHS created the Working on Wellness (WOW) program. WOW was designed from the beginning to earn employee buy-in on wellness and to stress the importance of healthy lifestyle habits. Profiling the "real time" health of BHS's employee population was an important first step in programming WOW offerings. Without an accurate snapshot of which health conditions to address - such as obesity, high rates of diabetes or cholesterol - WOW would lack the precision in programming that could truly make a difference in the health status of employees. To obtain an accurate overall picture of employee health, BHS offered its workers the option of completing a free confidential Personal Health Profile. Employees could take part in a number of baseline screenings, such as measures for blood glucose, blood pressure, cholesterol and BMI, so that each profile was as accurate as possible. The survey also collected data on personal health habits such as smoking, stress management, nutrition and family risk factors. Because the profile was kept confidential, employees were assured that the information would not be shared directly with their employer. Rather, Aegis stores the data. The benefit for each employee was a printed, personalized report that summarized the participant's health status and provided individualized recommendations for health improvement. The first year, 74 percent of employees completed a Personal Health Profile.By using the data from the aggregated results, BHS was able to identify actionable areas for improving employee health. The statistics showed that tobacco use and cholesterol rates were high among employees. BHS concluded that focusing on smoking cessation, exercise frequency and compliance with routine preventive screenings would help deliver quantifiable results to mitigate the effects of poor health on escalating healthcare costs. With those key strategies in mind, BHS created a variety of programs that offered employees multiple opportunities to improve their health. The goal was to raise awareness among workers and create a culture within the organization that promoted good health habits. To drive participation, BHS utilized strategic top-of-mind awareness campaigns and also made key changes to its benefit plan. Walking and exercise programs were established at select locations, and BHS offered to subsidize gym memberships for employees who wanted them. On-site exercise classes were held on an ongoing basis, and BHS signed on to participate in Scale Back Alabama, a statewide weight-loss program designed to address obesity. To encourage employees to give up tobacco, BHS offered a smoking cessation program called Free & Clear. 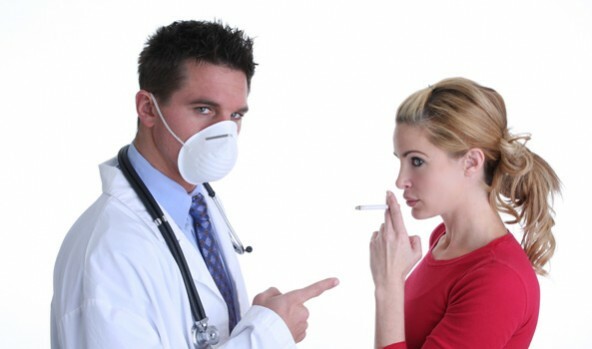 Employees who did not smoke were offered a non-tobacco discount on medical premiums. In addition, BHS began offering healthier food options in its cafeterias and vending machines. Ongoing WOW screenings motivated participants to keep an eye on their key health metrics such as cholesterol, blood pressure and glucose levels. Lunch & Learn seminars offered year-round reinforcement on adopting health lifestyle habits. BHS also began a promotion of linking employees with a primary care physician who could conduct routine screenings. Establishing a relationship with a doctor would allow for better management of chronic conditions such as diabetes or heart disease and lower the risk of an acute - and more costly - health episode. Employee participation rates for the WOW program have steadily climbed from 74 percent in 2008 to 86 percent in 2011. With such high participation, BHS saw significant improvements across all measurable health related areas. Finally, medical service visits increased during this same time period from 4.9 visits per employee per year to an average of 5.5 visits, indicating that employees had become more engaged in their own wellness. While some of these percentages may seem small, they add up to large health and financial impacts. Between 2009 and 2010, BHS's average expense per eligible/per month was reduced from $679 to $609, a reduction of 11 percent that amounted to an excess of $2 million in annual savings. BHS calculated a $600,000 reduction in claims with a direct correlation to wellness, and a $1 million reduction in reserves required for worker's compensation. Through WOW, BHS's healthcare costs have stabilized and remained flat from 2008-2011, while the market trend has experienced 6-8 percent annual increases. Overall, BHS has saved $8 million in health-related costs that would have otherwise been incurred if it had not implemented a wellness program. Since WOW was introduced, BHS has developed more programs and refined existing ones to further improve results. It has also extended health screenings to spouses, and continues to survey employees annually to measure year-over-year improvements. There are plans in the future to offer comprehensive health coaching and on-site clinics. And based on its own experience, BHS is now offering turnkey wellness and health improvement services to employers in its local market. Overall, BHS has seen a quantifiable improvement in the wellness of its employees and the costs incurred to keep them healthy. WOW is proof that a robust employer driven wellness plan can put "health" back in healthcare. Alan Bradford is chief human resources officer for Baptist Health System in Birmingham, AL (www.bhsala.com).